The final score at women lacrosse’s home opener against Adam’s State University was 24 to 1. The Mountain Lions took the field at noon at Mountain Lion Stadium with increasing wind, decreasing temperatures and snow in the forecast. Then they stormed Adams State’s goal, and did not relent until well into the first half of the game. Vanessa Nelson, a junior, started the scoring three-and-a-half minutes in, finding the back of the net past Adams State goalkeeper Louisa Sanchez. A minute later, UCCS junior Madison Ellis threw in a second goal, followed by two more from freshman Kyer Frederick. Natalie Church scored goal number six after a full-field solo breakaway less than 10 minutes into the first half. Goal number seven came from sophomore Kiera Lowe just 10 seconds later. UCCS completely held possession early in the game, giving Adams State only a handful of minutes to work with in the first half. Adams State scored their only goal of the game with 12:38 left in the first half. Among the scorers in the game were two freshmen and five sophomores, including Lowe and Church. Church also contributed with four assists during the game, and was last season’s Rocky Mountain Athletic Conference (RMAC) Freshman of the Year. These include the team’s two goalkeepers, freshman Kennedy Travis and sophomore Emma Becker. Becker started against Adams State, acquiring three saves of four shots, while Travis was in to finish out the second half with one save. Hatton said it was no surprise. That scrimmage, Hatton said, was also heavily one-sided. 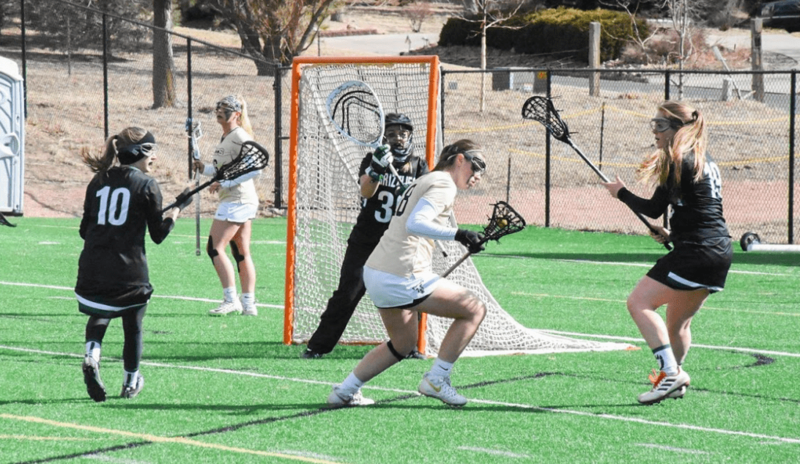 UCCS will go on to play five of the top-25 division II lacrosse teams in the country, including the University of Tampa, Colorado Mesa, Lindenwood University and Regis University. The team will also play against Colorado College, which is ranked No. 2 in division III’s western region. At press time, UCCS was set to take on Regis last Saturday, Feb. 23 at 1 p.m. Regis was ranked No. 8 nationally, while UCCS was unranked. UCCS lacrosse’s next home game is on March 4, at 5 p.m. against the University of Tampa, which is ranked No. 19 in the country. After their victory over Adams State, Hatton said she is happy with what the team has learned, and that they are excited to move forward.